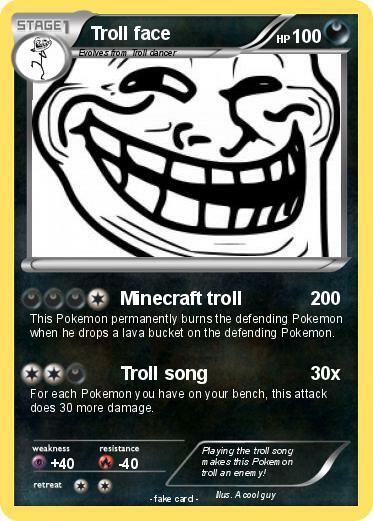 This Pokemon permanently burns the defending Pokemon when he drops a lava bucket on the defending Pokemon. For each Pokemon you have on your bench, this attack does 30 more damage. Comments : Playing the troll song makes this Pokemon troll an enemy!